Are you the most interesting person in the world? This set will you make you feel like one. 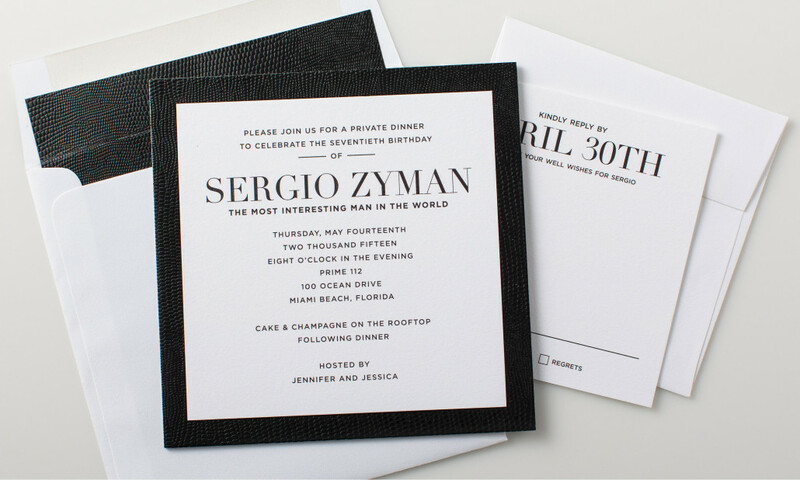 A simple, typographic save-the-date card, paired with a black lizard envelope was a preview for the invitation that followed. On the invitation, we used the same colors and fonts, but layered different papers together to add thickness, texture. 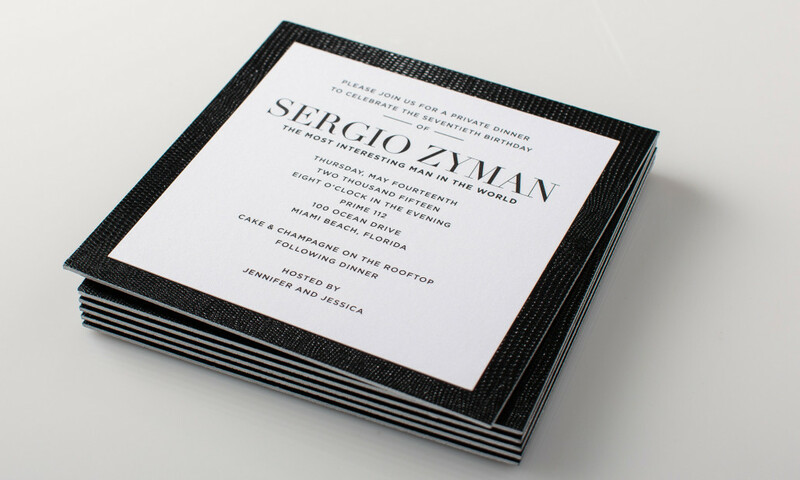 The invitation was finished with silver edge painting to add a small stripe of shine.